WESLACO — With winds well exceeding 100 mph and a torrential downpour flooding city streets, it’s not uncommon to see power lines down, palm trees eerily slanted toward one direction and roofs torn off local homes and businesses. And yet it was an otherwise ordinary scene that struck a then 28-year-old Bob Rektorik who, while venturing out into what would become the Rio Grande Valley’s most destructive storm witnessed a 12-year-old boy running and playing in the rain. 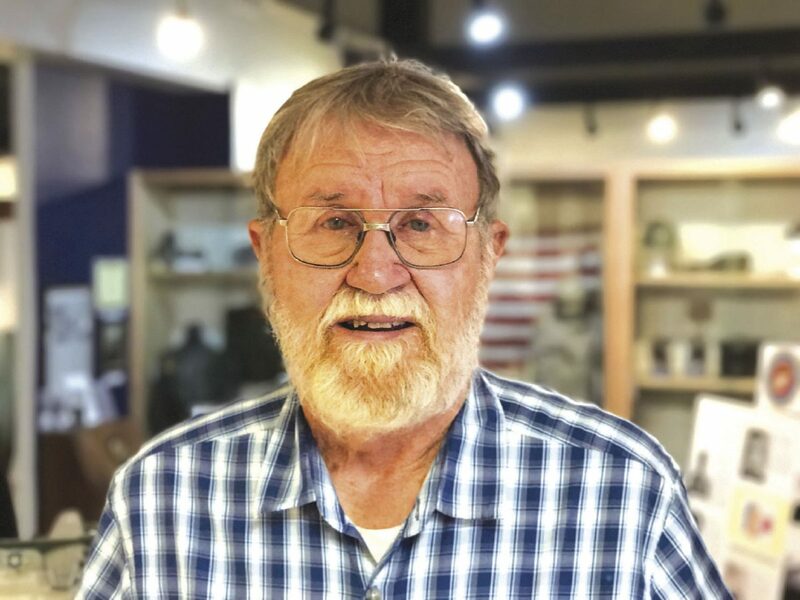 It was an odd sight the now 78-year-old Rektorik recalled — the youngster having fun juxtaposed with the devastation that Hurricane Beulah rained down that day in September 1967. But this is what the retired drainage engineer for the U.S. Department of Agriculture remembered most about his harrowing experience documenting the storm. Undaunted by Beulah’s fury, such sights were visible to the young Rektorik upon grabbing his 35mm Konica Minolta camera on the way out of his Weslaco home. It’s been almost 50 years to the day that he then climbed into a ton-and-a-half state truck and decided to take a drive. His destination was anywhere the truck would take him; his mission, although he was unaware at the time, was to capture the catastrophic flooding and wind damage that would forever change the Valley landscape. Between Sept. 20 and 22, Beulah’s winds reached as high as 136 mph with gusts recorded at 109 mph at the Brownsville airport, according to the National Weather Service, which also recorded 100 mph gusts as far inland as Pharr and Edinburg. This overflowed creeks that “inundated Falfurrias” and led to “excessive water flowing down the Rio Grande and into adjacent floodways,” as well as leaving homes in Harlingen flooded as high up as the rooftops. For Rektorik, who at the time was manning an in-house refugee center for USDA employees, documenting Beulah’s impact was not a task assigned to him, but an obligation considering the resources at his disposal. 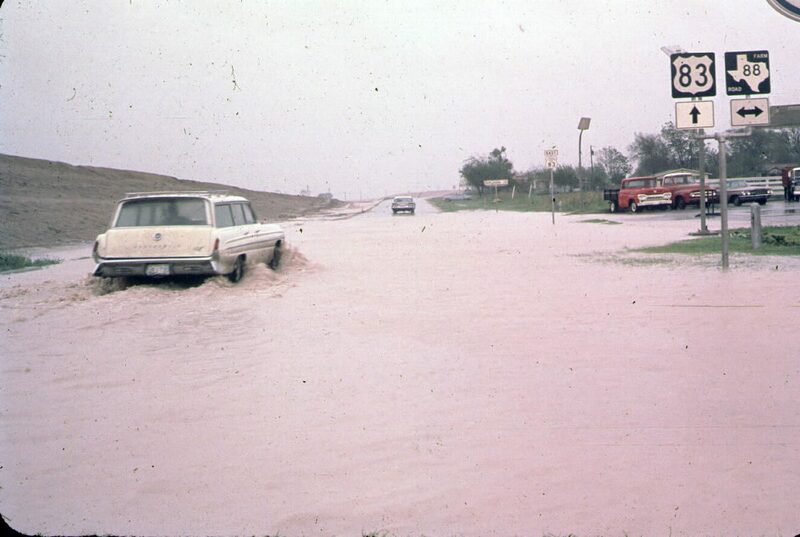 Scenes he captured as a result included an overwhelmed floodway inundating Mile 2 Road in Mercedes, citrus harvest losses, a portion of the McAllen airport under water, aluminum sheds left torn and mangled, and the curious sight of floodwater nearly spilling into a rain gauge located a couple feet off the ground. Because there were areas he couldn’t access due to high water, Rektorik waited until the storm passed and boarded a small airplane the USDA had under contract at the Weslaco airport — one of few in the Valley with a terminal still on dry land. The aerial photos he subsequently captured helped tell the Valley’s story of what’s still considered the region’s great leviathan. 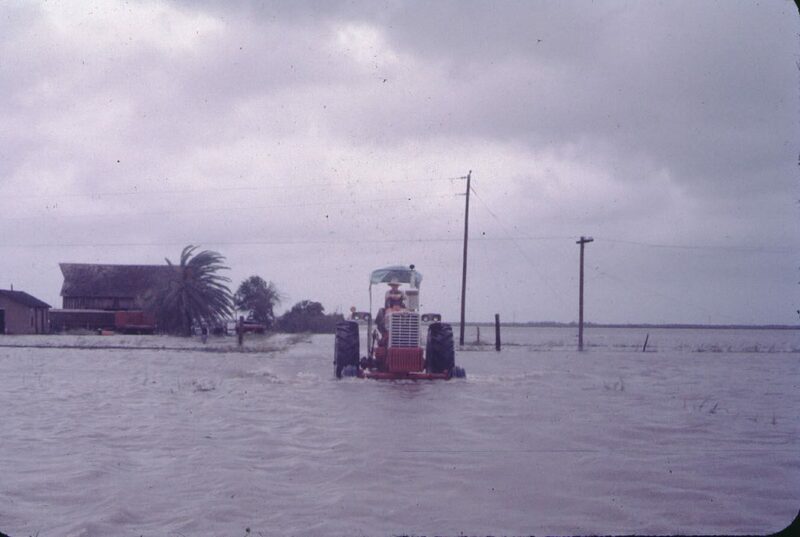 Among the scenes he photographed were Treasure Hills residences in Harlingen almost completely under water, a tractor wading through floodwater in San Perlita, and a Quonset hut in the same area that appeared not unlike an island. Rektorik did this at great peril, considering the ground photos and footage were taken the day Beulah blew through the Valley. Asked whether he was ever frightened during the storm, Rektorik said he was too young to know any better. 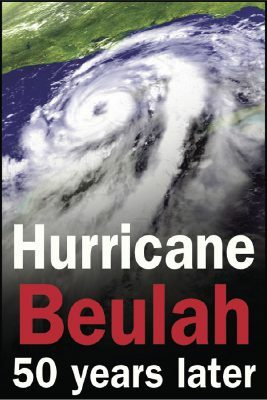 The Monitor has been featuring Rektorik’s photos and footage during its 50th anniversary coverage of Hurricane Beulah and will continue to publish his work through the end of the month. They are also available for viewing at the Weslaco Museum, located at 500 S. Texas Blvd.